Change your life, Becoming a PADI Divemaster is your first step into the Professional world of diving, develop your leadership abilities and assist instructors too. With your instructor, you will improve your diving ability and expand your diving knowledge to a professional level. During the course you will learn the different parts of the course that you can do all together or spread it out, how to supervise inwater activities and assist a professional instructor. Once you are a certified Divemaster you are able to supervise and assist diving activities in all types of environments. In PADI dive centres divemasters like you can participate in beginner courses, assisting the instructor. Divemasters also guide qualified divers on dive sites. You will be also able to conduct PADI Discover Local Diving and the Scuba Review with qualified divers. 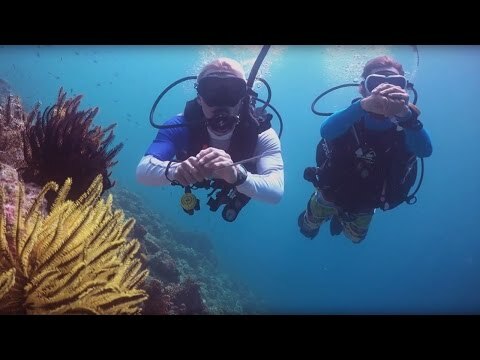 Non divers can live their first experience with you, programmes like Discover Snorkeling and the PADI Skin Diver course as well as Discover Scuba Diving. Contact us to enroll to the Dive master course. Mask, Snorkel, Fins, Weight belt, Wetsuit, Scuba Tank, Regulator, BCD SMB, compass, dive computer.